Home / ingredients / What is Coconut Oil doing in my soap? Coconut Oil is extracted from the meat of matured coconuts harvested form the coconut palm. I love the smell of coconut especially on cake or in a cream pie. Unfortunately since the coconut oil I use is not the virgin oil there is no wonderful coconut smell. The oil I use is 76degree coconut oil which means its solid but start melting at temperatures above 76 degrees. I get it in 50lb pails and in the summer I carry that pail sloshing into the house. It solidifies as soon as it gets into the AC and no harm done as it is a very stable oil. I love what it does to our soap bars as it contributes to a very fluffy lather and helps our shampoo bars burst into a froth of bubbles. Coconut Oil helps make for hard bars that won’t melt into a puddle. Lastly it is moisturizing for your skin and does not dry it out. These facts I have known for a long time and know it is a great addition to our basic soap formula. I know that this oil is great in lotions and creams as it helps the skin retain moisture. Being an ex-massage therapist, I had made my own massage oil using fractionated coconut oil which is a processed oil and so is liquid at room temperature and essential oil that has acted on sore muscles. What I did not know are all the benefits of Virgin Coconut Oil taken internally. I have a good friend that puts a spoon of it in her coffee and also puts it on her toast in the morning sprinkled with cinnamon. She also uses it to cook with for frying as it is better than olive oil. There were recipes for using it to make mayo even which sounded interesting. 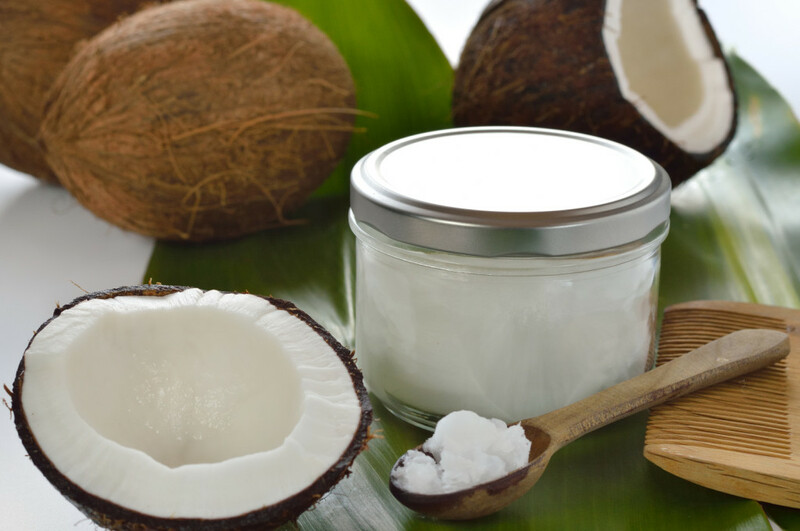 Coconut Oil is high in Lauric Acid which is the fatty acid that is good for soap but internally this fatty acid increases the good HDL cholesterol. So good outside and inside. I googled it some more and found many sites that offer 200 Brillant Used for Coconut Oil and even Dr.Oz has a page on the 99 Amazing Uses for Coconut Oil which I thought were both interesting. I am going to buy some of the Virgin Coconut Oil and try some in my coffee and will let you know how it tastes. I am definitely a skeptic but will try something new! So are you game ? Why I Love Making Soap!